Attendees at the National Agronomic Environmental Health & Safety School learned why safety is increasingly important to the ag retail marketplace and how to make their operations more safe. The National Agronomic Environmental Health And Safety School celebrated its 40th anniversary in style in August at The Asmark Institute Agricenter in Bloomington, IL. 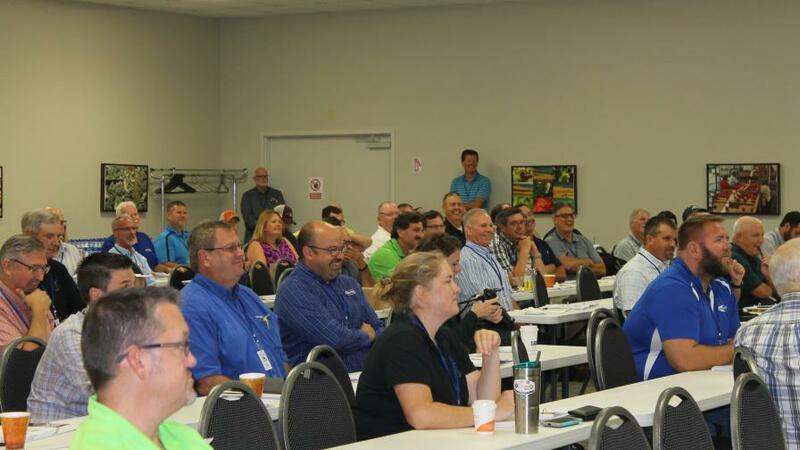 During the two-day event, attendees learned why safety is increasingly important to the ag retail marketplace and how to make their operations more safe. 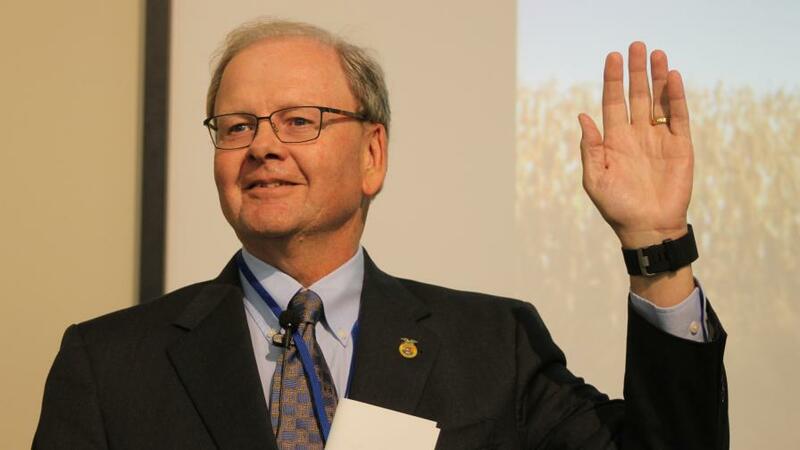 Jay Vroom, retiring CropLife America president, gave the keynote address at the Safety School. The school started with a keynote address from Jay Vroom, the long-time President/CEO of CropLife America now heading into retirement. “I wish we had done better at safety for the last 30 years,” Vroom said. He then cited statistics from 2017 that showed there were 417 farmer/farm worker deaths during that year and are more than 100 ag workers who suffer some form of lost-time injury every day. However, he believes the industry is headed in the right direction. “Being here in this Asmark facility dedicated to teaching about safety shows that our industry is finally putting an emphasis on safety for our business,” Vroom said. 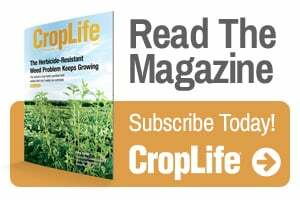 Dustin Warder and Joe Becovitz discussed the Worker Protection Standard (WPS), which the U.S. EPA created in 1992 to protect employees on farms, forests, nurseries, and greenhouses that are occupationally exposed to agricultural pesticides. Revisions were made in 2015, with compliance required, for the most part, starting Jan. 2, 2017. Delayed until Jan. 2 of this year were two additional WPS requirements: 1) New content on pesticide safety information must be displayed at a central location, and 2) Handlers must suspend applications if anyone is in the application exclusion zone (AEZ). A new WPS requirement was announced June 22. By Dec. 19 (180 days) pesticide safety training for workers and handlers must be accomplished using materials that cover the expanded training content. The training must be done every year, and EPA must approve training materials and train-the-trainer (TTT) programs. 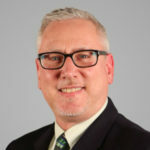 Becovitz, a Pesticide Program Specialist with the Office of Indiana State Chemist, tackled WPS from the state perspective. Ag dealers, Becovitz said, should provide customers with the: location of the application; product name, EPA registration number, and active ingredients; restricted entry interval (REI); posted warning, oral warning, or both; and start- and end-time dates of application. “The first four things you can give to your customer ahead of time in the form of a chart,” he added. Ag dealers can plant field flags that include the date of application, but too often those flags are ignored by growers, Becovitz said. “We pretty much know they don’t (pay attention). Could you do it electronically (instead)? You could text that information to them. Whatever works, whatever is easiest for you, that’s fine,” he said. George Wyness, the Founder of Crossroads Safety Consulting, explained how to survive a U.S. Dept. of Transportation (DOT) compliance review or audit. He had worked 15 years as an enforcement officer with the Illinois Dept. of Transportation. “I used to be one of the bad guys. I quit DOT, and now I’m one of the good guys,” he joked. For starters, Wyness recommended visiting the Federal Motor Carrier Safety Administration (FMCSA) website, safer.fmcsa.dot.gov. “If you go through an audit, or if DOT is monitoring you, you can basically see the same information on this website that the government has on you,” he said. Expect to be audited, Wyness said, if your rate of out-of-service driver violations is above the national average of 5%. “That’s what gets you on the radar screen with DOT,” he said. “When you start getting pulled over and you have more violations, it cranks up what is called your CSA score,” Wyness said, referring to FMCSA’s Compliance, Safety, Accountability data-driven safety compliance and enforcement program. “When you get to a certain threshold, you get an alert. Generally, what triggers a DOT audit is if you have two alerts.